Welcome to the Riviera Motor Inn, located in Saskatoon, Saskatchewan. Where you're in "For the Best Sleep of Your Life." Come visit today to take advantage of our good location, minutes from Saskatoon's Airport, Sasktel Centre and downtown shopping. Our facilities contain all of the amenities the traveler requires. Also enjoy great food and friendly service from Crazy Eggs Restaurant. Airport Parking packages are also available through the hotel. Our Commitment is to provide you with exceptionally comfortable, clean and modern accommodations at economy prices delivered by friendly, courteous and efficient personnel. 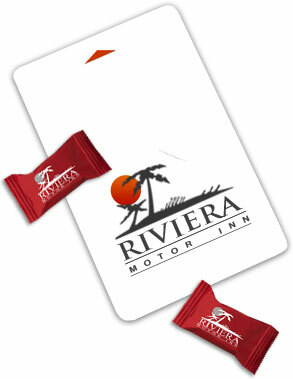 With 62 guest rooms the Riviera Motor Inn offers guests to the Saskatoon marketplace comparable accommodation choices. Whether you are in Saskatoon for business or pleasure, the Riviera Motor Inn is sure to meet all of your accommodation needs. Our Executive King Suites provide all of the comfort and luxury that you're looking for. Whether in Saskatoon on business or looking for that special romantic weekend away, the Riviera Motor Inn can satisfy your desire. Our Executive Kings rooms come standard with in-suite microwave, fridge, 42" smart TV, digital cable and king size double pillow top bed. You won't get a more comfortable sleep then when you're staying as our guest. Our double rooms feature two queen double pillow top beds, work desk, free local calling, Digital Cable - HD Channels and 32" LCD TV. Perfect for a family/business trip. Our luxury single rooms feature a queen double pillow top bed, comfortable seating area , work desk, and free local calling. Perfect for a couple/business trip. Our hotel offers designated rooms that have been designed for any physically challenged guests. Hallways and doorways have been widened to accommodate wheel chair accessibility. Our queen-sized beds are several inches higher then normal and the bathrooms come complete with safety handles around the bathtubs and toilets. We also offer a wheel chair accessible shower stall for any guests wishing a shower instead of baths.